EV SSL 123 » Can I renew SSL Certificates and add the Extended Validation Standard? Can I renew SSL Certificates and add the Extended Validation Standard? 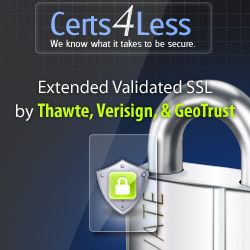 When you renew individual SSL Certificates, look for the upgrade to Extended Validation. Due to the additional steps in the verification process, enrollment may take longer than traditional SSL Certificates and the express guarantee for 2-day delivery does not apply. Managed PKI for SSL accounts must be pre-qualified to request Extended Validation SSL Certificates before traditional certificates may be converted to EV.